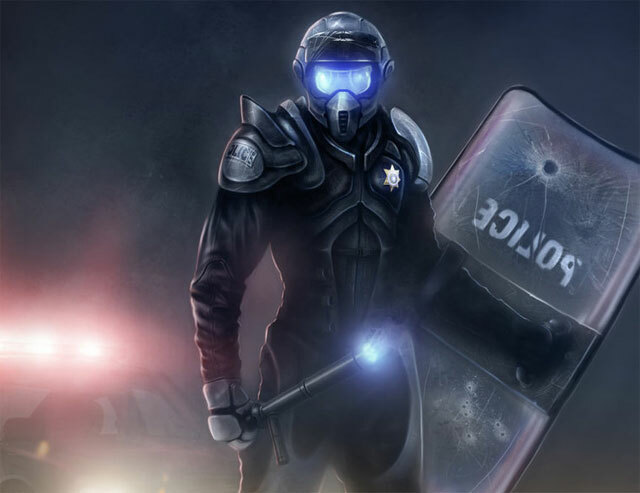 According to a new report, The Future of the Force: Police, Technology and Serving the Public, a range of technologies could assist the police with their enquiries, from electronic notebooks to autonomous crowd monitoring, sensor networks and augmented reality. Much of the technology uptake is driven by the need to make savings as police budgets are cut but alongside that is a drive to "turn data into real-time intelligence", said Nigel Rees of Airwave, the company that runs the emergency services network and commissioned the report. "This will use many different technologies, from electronic notebooks which allow officers to check a suspect's criminal record while they are at a crime scene, to sensor networks which help them to covertly track people and vehicles," he said. The vast majority of forces in the UK already use Twitter and Facebook to interact with the public, according to the report. Greater Manchester Police is among some of the keenest tweeters. It began to use social media to better engage with communities and now runs a community reporter scheme which invites members of the public to accompany officers on the beat and blog about it. The force currently has a presence on Twitter, Flickr, YouTube and Facebook and it holds regular Twitter days when every incident coming into the force is tweeted to make the public aware of the volume and type of work done by officers. The Metropolitan Police has one of the country's most popular police Twitter feeds and a recent study by think-tank Demos looked at how it performed in the wake of the Woolwich shooting in May. "Our research revealed that everyone was using the Met's Twitter handle to send in vast amounts of information. There were accusations of criminal activities, requests for information, tweets about what the police were doing and some reporting of serious events that should have been sent through 999," said report author Jamie Bartlett. While most police forces stress that Twitter is not a replacement for the emergency services, there is anecdotal evidence that is some circumstances - for instance during a burglary when a home-owner doesn't want to alert the burglar to their presence - Twitter has been used instead of making a phone call. While the police may still be getting to grips with how to use social networking effectively, some forces are experimenting with more cutting-edge technology. To ensure safety at the 2012 Olympic sailing events in Weymouth, Dorset police worked with tech firm CrowdVision to develop a way to understand how crowds behave. The system was originally developed as a public safety solution in Mecca for use during the annual Hajj pilgrimage. In Weymouth, CrowdVision hooked a digital camera on a local bar which overlooked the crowds gathered on the beach to watch events on giant screens. The camera was connected to a computer which ran software to offer real-time analysis of the crowd's movements. An algorithm detected human heads and analysed how those heads were moving from one video frame to another, in order to predict movement. "It was installed in time for our busiest weekend and provided regular updates," explained Ch Supt David Griffiths. "This gave us valuable data on what was happening in the walk-up to the live site area, where we had previously had some concerns about unpredictable crowding." It meant, for example, that when the crowd surged towards the beach several minutes before Ben Ainslie took a gold medal for Great Britain, the police were able to react quickly and temporarily close the viewing point. Several police forces are using small, lightweight drones as a cheap alternative to police helicopters. Merseyside Police was an early adopter and in 2010 a suspected car thief became the first person to be arrested in Britain with the help of a miniature, remote-controlled helicopter. The air robot was deployed after officers lost the alleged offender in thick fog. 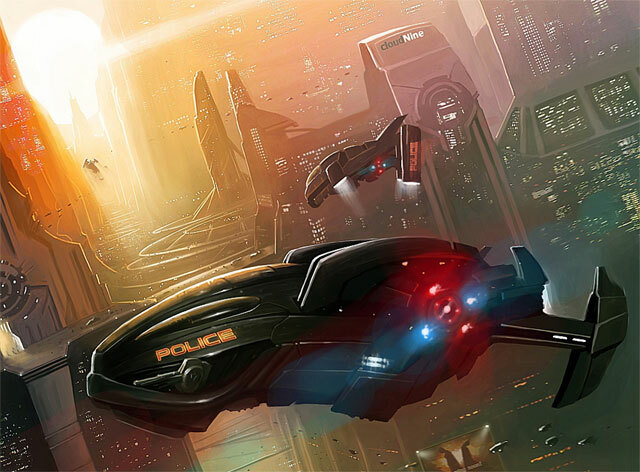 The report suggests that police drones could also be used as platforms for sensors, in future. The so-called internet of things - sensors on physical objects such as street furniture - is being talked up as a way of making our cities smarter, constantly feeding information back to a centralised database, offering information about traffic jams, water leaks and other incidents in order to improve the way cities function. Many police vehicles are already fitted with complex sensors which offer data from engine efficiency to driver behaviour. The police also routinely use sensors, known as automatic person location systems (APLS), on officers which help them locate someone if they have been hurt or to feed back information. The electronic tagging of criminals is commonplace but now some forces are starting to experiment with more controversial uses. In 2011, Hertfordshire Police tested a controversial new system which allowed them to track and map offenders using GPS. Now police in Sussex have deployed similar technology for use with dementia patients. The force estimates that one in four missing person enquiries relate to dementia patients. They claim the system is "cost-effective" but critics have branded it inhumane. With increasingly digitised data and faster networks able to offer up that data in real-time, the report asks whether we will see Minority Report-style policing in future, with officers accessing information via devices such as Google Glass. The reality may be a little more mundane, said Dave Allen, a senior lecturer at Leeds University and one of the authors of the report. There is evidence that the more stress public safety workers are under, the less cognitive ability they can devote to technology. Therefore it is important to consider what information is supplied to police officers and account for how they can digest it and interact with it. He added. "A simple flashing light in worn devices or using vibrations or sounds that are easier and quicker to process may be the answer." Whatever technology is used it is important that it doesn't get in the way of old-fashioned policing. "The question is to what extent augmentation could lead to "deskilling" as officers rely less on experience and developing skills in searching and seeking information and more on "management by remote control or blinding following information drawn from systems," he said. Minority Report or not there is no getting away from the fact that technology is going to play an increasingly important role in policing, he thinks.